So sorry for my absence! The husband and I have been dealing with a problem in our fireplace, which has left our office area unusable for the past week or so. Because of that, I had a hard time getting to my computer and having time to edit and post manicures. On a happier note, I hope everyone had an awesome Halloween! These are my late Halloween-ish nails from the past week! 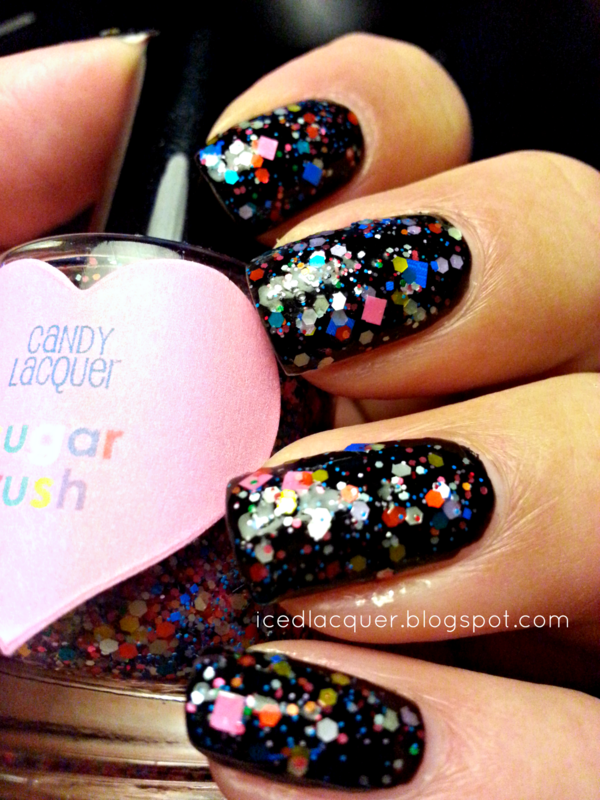 This first one is Candy Lacquer "Sugar Rush" over black creme. I thought this one was super cute and it totally reminded me of trick-or-treat candy wrappers! I suppose this was my way of bringing some candy into my holiday, as I couldn't actually eat candy due to dieting. 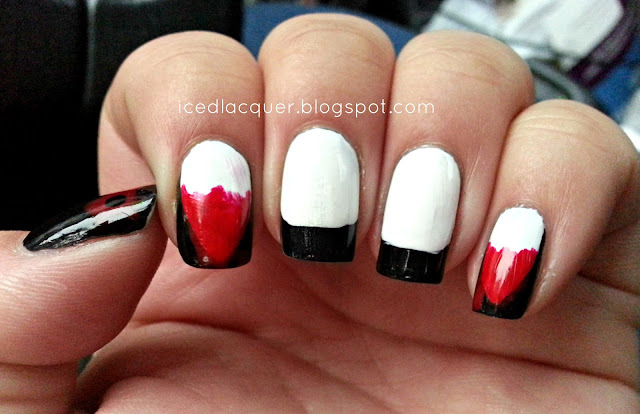 This is the manicure I wore ON Halloween. I attempted to make my fingers look like teeth, with the pointer and pinky being bloody vampire fangs. I don't think it turned out too bad for freehand! PINKIE PIE!!! Yes, that's right, I have to admit I like My Little Pony. 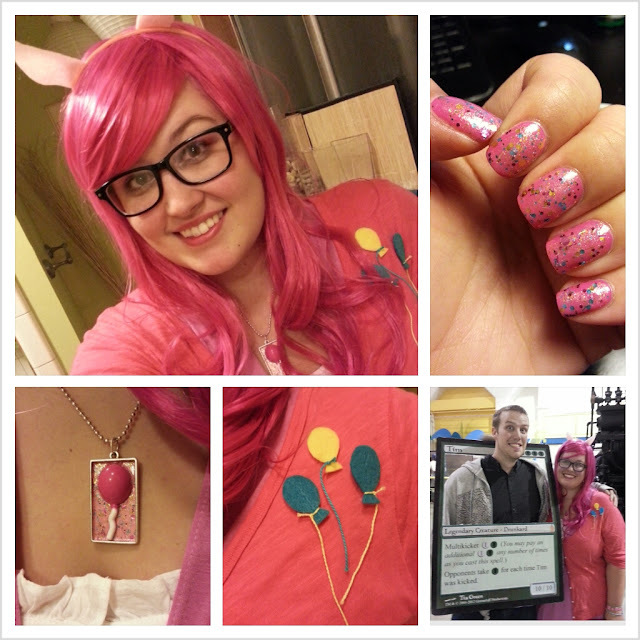 *I* thought the costume turned out pretty darn cute! Thanks for reading and I'll try to be posting more often again! Isn't it awesome? 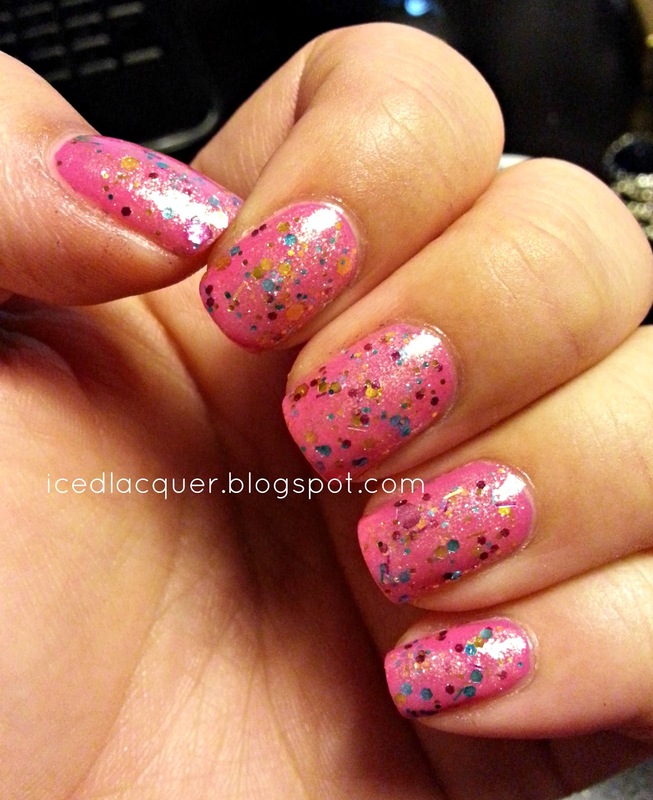 I love that it's a glitter mix, but it's unlike any others out there!